“Are you a bird watcher? Are you an artist? Are you a musician? An athlete? All of those things you can showcase online. You can show what your passion is and let that shine through.” Gina Carrol, blogger and author. In her podcast, 24 Things You can Do with Social Media to Get into College, Carroll talks to young American students about their online social media reputation and the importance of that image to college admissions. With colleges becoming increasingly selective, more admissions officers are turning to social media to gain further insight into their applicants. In a television interview with Mass Appeal on NBC, Paul Hemphill, author of Planning for College, states that colleges are interested in social networks because they answer the question “who are you?” Hemphill comments that college applications can easily be forged to create a perfect impression, while social media sites are more likely to reveal the student’s true persona. Many agencies have reported on the importance of social media and college admissions including Forbes, IvyWise and The New York Times. A survey conducted by Cornerstone Reputation in 2014 found that 40% of admissions officers searched applicants online. A subsequent 2015 survey of college athletic coaches reported that 83% reviewed social media profiles of prospective athletes. Studies also show, that what is being found online can hurt your chances of acceptance. A survey from Kaplan Test Prep in 2013 indicated that 30% of admission recruiters who used Facebook to review an applicant found content that negatively impacted the student’s application. Given these facts, it is important to prepare your social media profiles before you apply to an American college. Use these simple tips to can ensure your online reputation represents the best of you. 1. Have a presence. In the US today, not belonging to a social network says a lot about you. According to this survey from CareerBuilder, 35% of employers are less likely to grant an interview to an applicant who doesn’t appear online. Hemphill states in his interview “If they can’t find you on Facebook they’re going to decide you have something to hide.” If recruiters can’t find you online, they may conclude that you are socially unaware, or worse, are deliberately concealing your profile to hide inappropriate content. Furthermore, not having an account leads you to miss out on the opportunity to create a relationship with your prospective schools. Having an online presence allows admissions officers to put a face to a name, learn more about you, and relate to you on a more personal level. 2. Delete inappropriate material. As was stated previously, 30% of admissions officers found material that negatively impacted an applicant’s acceptance. It is imperative that you carefully review your online history for inappropriate content. Remember that every culture is different, and when going to America you have to adjust to their customs. For example, alcohol, which is not considered offensive in Europe, is regarded as particularly inappropriate in America. Make sure to remove images on your profile of underage drinking, partying, smoking, drugs, explicit content, etc. As Carroll says in her podcast “If you have 1200 pictures and 699 are you at a party, what does that say about your priority with regard to your time?” Also, be sure to review old posts and status updates that may include swear words, racist remarks, or angry rants. Remember that what happens on Facebook stays on Facebook, forever. You can use free applications like Rep’nUp to easily clean up your social networking sites. 3. Showcase your personality. Shape your online presence to highlight your personality and individuality. Post things that humanize you so the university can get to know you. Colleges want to see that you are close with your family, have interesting hobbies, and are overall a well-rounded individual. 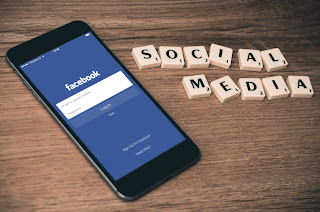 Since colleges use Facebook to verify your resume, make sure your online presence reinforces your hobbies and interests expressed in your application. If you wrote that you are passionate about science, make sure to follow scientists that inspire you. Hemphill suggests putting up photos of projects or trips you’ve participated in and what you’ve learned from them. Also be sure to review your old Liked pages. Since pages don’t have a date it’s not clear which pages you may have liked ten years ago in high school, and which pages reflect who you are today. 4. Use timeline review. While it’s important to monitor what you post, don’t let your profile be tarnished by that careless friend with less than ideal judgement. Your social media image can easily be ruined by someone tagging you in a photo or posting on your wall. To prevent this, check out Facebook’s Timeline review tool that allows you to control what others post on your wall to help maintain your positive image. 5. Take action. Now that you have the perfect online presence that presents you as the impeccable and impressive individual that you are– get out there and use it to your advantage. Carroll suggests virtually interacting with your perspective schools “early and often.” She advises to register on their websites sites and follow them on social media even before applying to get on their radar. Consistently engaging with a college is a way to demonstrate your interest in the school, which is vital to them believing they are your priority. Schools don’t want to be your fallback option; they want to know that if they offer you an acceptance, you will take it. This article from PBS states that some universities use data analysis algorithms on your social media profiles to determine if you are worth investing in. Schools don’t want to invest in you if it is likely that you won’t make it to graduation. Social media in the United States can play a large role in college admissions. 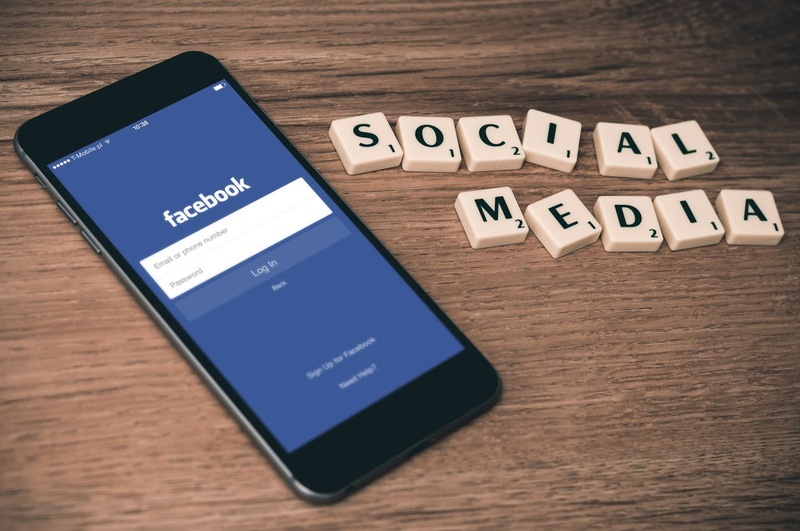 By following these simple tips to adjustyour social media accounts you can ensure your online perception is maximized for the American admission process. In the U.S. there are two main categories that schools fit into. A government subsidized public institution, and a private institution. Both of these university systems have their own advantages and disadvantages. We will go through the four key aspects of both types of schools so you can be sure you are picking your ideal university type. One of the major things to consider when choosing an institution type is cost. Because you are most likely coming from abroad, you will not be qualified for in-state tuition for a public university. Although still cheaper than the average private school, you will be paying substantially more than your in-state counterpart. Keep in mind that this is without any financial aid, scholarships, or grants. Applying for these awards can dramatically change the costs for university. Another thing to consider is the quality of education you will be getting. There is a myth that private colleges are more prestigious and exclusive than public schools. While this may be accurate for the most prestigious schools in the nation, overall, many public universities are on par with private ones. Quality of education also, will depend completely on the individual university, your major, and your academic goals. A school that is prestigious for someone else might not be prestigious for you because of these considerations. When looking into education quality, be sure to do your homework and do a quick web search to give you current-year rankings for all universities. These lists include both private and public institutions in the top 25. Available majors is also a very important aspect to look at. Public schools are going to have a much more broad selection of academic programs they offer. While private schools will most likely have more specific major tracks for students. Just be sure to research your major field of studyand match up schools that fit all of the major requirements you need. Life beyond graduation is also something to consider. When applying for jobs, the individual school you go to can have a huge impact on whether you get that interview, or that job. Especially in the US, the ranking of the school you went to could haunt you for the rest of your life (or make your life much easier). In some cases, especially in the extremes of the school rankings charts, it will indeed have a very strong impact. Being an Ivy League (Harvard / Yale / Columbia / Penn etc.) graduate allows many advantages and career opportunities and provides a network of peers who will be able to help you with business and personal development later on in your career. A good university serves as a proxy that you are a good job / academia candidate and will open many doors for you. There is also probably a strong correlation between a school being ranked as a top university and the actual quality of that school. Overall both public and private universities have many similarities and differences. The most important thing is to make an informed decision when you consider your study abroad options. Do your research and talk to people who studied at the schools you are considering, whether they are public or private.